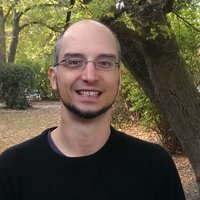 Patrick Tobias Fischer is an independent researcher in Human-Computer Interaction (HCI). He earned his PhD at Strathclyde University, Glasgow in the fields of Urban HCI. The topic was »Urban HCI: Understanding and conceptualizing urban situations through media interventions«. His research is positioned in the crossfire of art, technology and urban life and was sparked in 2006 while he studied at University of Technology, Sydney at Ernest Edmond`s Creativity and Cognitions Studio. Since then Fischer`s passion for novel computer interfaces that reach beyond desktop guided him to research institutes such as Fraunhofer, Berlin and Microsoft Research in Cambridge and the Interdisciplinary Laboratory Image Knowledge Gestaltung in which he is currently working as a visiting researcher. He was lecturing at Bauhaus University in Ubiquitous Computing, Computer Science, MediaArchitecture, Tangible Computing, IoT and Urban HCI. In his current project Patrick Tobias Fischer is exploring Mixed Reality 1D-3D knowledge visualization/interactions for museum exhibits.